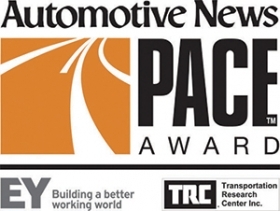 Twenty-eight innovations from 21 automotive suppliers have been named finalists for the 2016 Automotive News PACE Awards. The technologies -- ranging from advanced mirrors to charging technology for electric vehicles to a new approach to all-wheel drive -- underscore the auto industry's advance toward lightweight, fuel-efficient and electrified vehicles. Winners will be announced April 11 at the Max M. & Marjorie S. Fisher Music Center in Detroit, kicking off SAE World Congress week. Here are the finalists and their innovations.